The tiger may have migrated from Madhya Pradesh, Rajasthan or Maharashtra, state minister Ganpatsinh Vasava said. The Gujarat government on Tuesday confirmed they have a tiger in the state, PTI reported. The confirmation came days after a school teacher had said he saw a tiger crossing a road near Boriya village in Mahisagar district. “It has now been confirmed. A tiger in the age-group of 7 to 8 years has been seen in Mahisagar district,” Gujarat Forest Minister Ganpatsinh Vasava said in Gandhinagar. 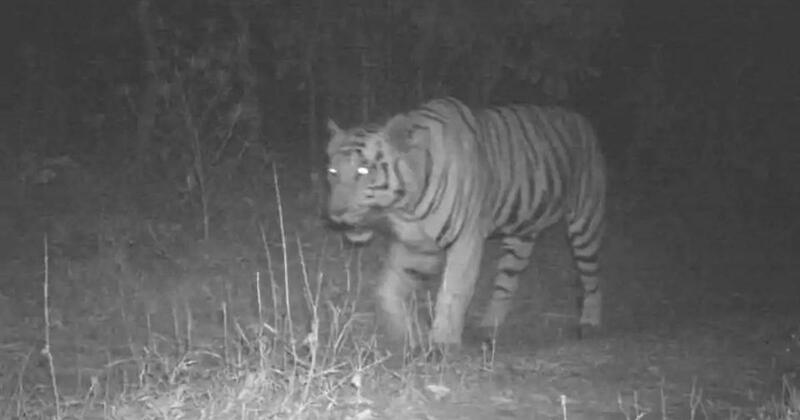 He added that the tiger was caught on cameras that had been set up in the Lunwad-Santrampur forest after photographs taken by the teacher went viral on social media. 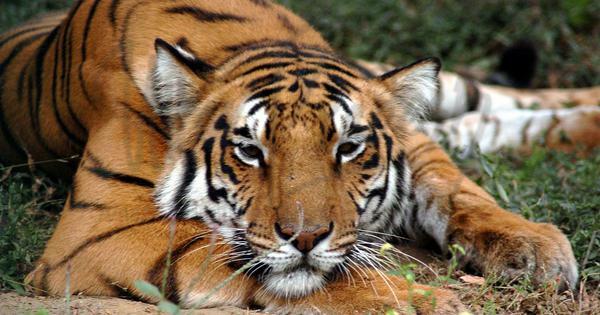 The tiger was last seen in the state in 1989. Government surveys since have not shown any indications of tigers in the state, Vasava said. The state government will receive assistance from the National Tiger Conservation Authority and the Wildlife Institute of India, he added.